Start off your visit on the 13th (Sat): take in the spiritual surroundings of St. David's Cathedral, then see the interesting displays at Museum of Old and New Art, then identify plant and animal life at Bonorong Wildlife Sanctuary, and finally stop by The Wicked Cheese Co..
To see traveler tips, photos, ratings, and tourist information, go to the Hobart driving holiday tool . Singapore, Singapore to Hobart is an approximately 13-hour flight. You can also do a combination of bus and flight. Due to the time zone difference, you'll lose 2 hours traveling from Singapore to Hobart. Expect colder temperatures when traveling from Singapore in April; daily highs in Hobart reach 21°C and lows reach 9°C. Finish your sightseeing early on the 14th (Sun) so you can drive to Port Arthur. 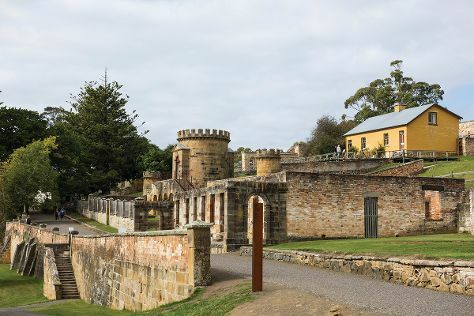 On the 14th (Sun), explore the striking landscape at Tessellated Pavement and then steep yourself in history at Port Arthur Historic Site. To find maps, where to stay, other places to visit, and other tourist information, read our Port Arthur visit planner. Getting from Hobart to Port Arthur by car takes about 1.5 hours. Other options: take a bus. In April, daily temperatures in Port Arthur can reach 21°C, while at night they dip to 9°C. 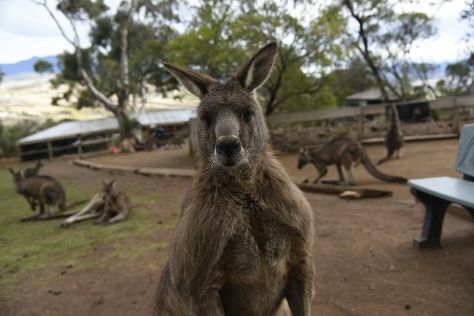 Finish your sightseeing early on the 14th (Sun) to allow enough time to drive to Coles Bay. Kick off your visit on the 15th (Mon): browse the exhibits of Kings Fine Art Gallery, learn about winemaking at Gala Estate Vineyard, then kick back and relax at Friendly Beaches, and finally enjoy the sea views from Cape Tourville Lighthouse. Keep things going the next day: enjoy the sand and surf at Wineglass Bay and then get up close to creatures of the deep with a dolphin and whale watching tour. To find traveler tips, ratings, other places to visit, and tourist information, use the Coles Bay trip builder site . Drive from Port Arthur to Coles Bay in 3.5 hours. Alternatively, you can take a bus. 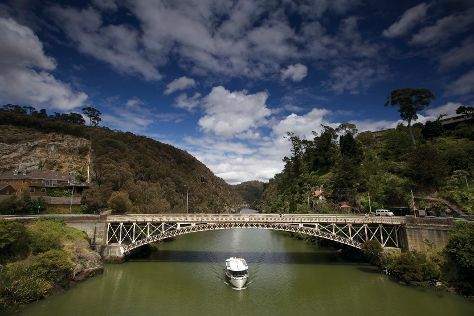 Wrap up your sightseeing on the 17th (Wed) to allow time to drive to Launceston. Kick off your visit on the 17th (Wed): do a tasting at Tamar Ridge Cellar Door, then learn about winemaking at Holm Oak Vineyards, then look for gifts at Goaty Hill Wines, and finally identify plant and animal life at Cataract Gorge Reserve. To find reviews, ratings, other places to visit, and other tourist information, read Launceston journey builder tool . You can drive from Coles Bay to Launceston in 2.5 hours. Alternatively, you can do a combination of car and bus; or take a bus. In April, daytime highs in Launceston are 20°C, while nighttime lows are 7°C. On the 18th (Thu), you'll have the morning to explore before heading back home.